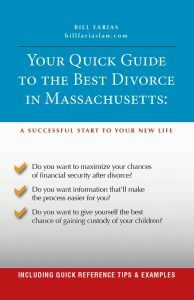 Massachusetts Child Custody Lawyer | Farias Family Law, P.C. Divorce is a difficult time for children. The law is cognizant of that and attempts to make the transition for them as smooth as possible. It also aims to keep their standard of living as close to that of the marriage as possible. When your future relationship with your children is at stake, make sure you’re represented by an aggressive attorney that is willing to fight in court to get you the best result. Contact Massachusetts Child Custody Lawyer Bill Farias for a CONSULTATION at (508) 675-0464 or submit the contact form on this page. 1. Where will the children live? 2. With whom will they live? 3. Who will be making decisions about the children? 4. How will finances for the children be arranged? 5. What will the child visitation schedule be? The courts encourage parents to work cooperatively on caring for the children. This can be a difficult task given the animosity that often ferments from separation and/or divorce. Both parents are expected to foster the child’s relationship with the other, so the preference is for parents to agree on an arrangement; however, if they can’t, the court will make the decision. It’s common for the court to order joint legal custody of the children. Absent a significant issue impacting the children’s well-being, the court prefers that both parents be actively involved in the children’s lives. The parent(s) with legal custody makes all major decisions for the children, including those related to medical care and schooling. Physical custody determines the primary caregiver, the parent the children will live with. To increase stability, courts usually award sole physical custody to only one parent; joint physical custody is much less common than joint legal custody because the lack of a primary home is generally too disruptive for the children. Also, if there are siblings, courts make an effort to keep them together. For visitation, barring a significant concern impacting the children’s well-being, the non-custodial parent has a right to visits, and they’re usually arranged between the parties. However, if there are concerns about the visiting parent, the court may order that visitation is supervised. The legal standard is “best interest:” the court will order what’s in the “best interest” of the child, taking into considerations a number of factors. The decisions are theoretically gender-neutral, so if the father’s more fit, he should get custody. However, in practice, the mother usually gets sole physical custody because the factors usually weigh in her favor. Income is generally not a significant consideration because child support will make up for any difference. Under G.L. c. 215 sec. 56A, the court may appoint a Guardian Ad Litem to investigate the facts of a case and represent the child’s interest. The appointed person is usually a professional, such as a psychologist, who through questioning and/or periods of observation does a thorough assessment of the involved individuals and their relationships, and files a written report with the court. Under G.L. c. 208 sec. 28, child custody judgment can be modified upon the showing of a “material and substantial change of circumstances,” and that a change in custody is in the “best interest” of the child. is an important determination in a divorce proceeding. Make sure you have a skilled, aggressive attorney that will get you the best result. Contact Massachusetts Child Custody Lawyer Bill Farias for a CONSULTATION at (508) 675-0464 or submit the contact form on this page.